The Federal Emergency Management Agency is an agency that operates under the Department of Homeland Security of the United States. It was establish primarily for the coordination of responses to disasters that may occur and overwhelm the local and the state authorities. Some of the disaster responses that FEMA has been involved in include the Space Shuttle Columbia return flight disaster and the Alfred P. Murrah Federal Building bombing in Oklahoma City. 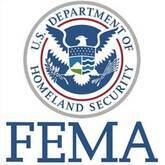 FEMA's existence can be traced back to over 2 centuries ago but in different form. It was however established as an independent agency in the year 1979. The corporate offices are in Washington DC. There are currently 0 consumer reviews about Federal Emergency Management Agency available. Share your review. Please take a note that you are about to post a public review about Federal Emergency Management Agency corporate office on CorporateOffice.com. This review will be public, so please do not post any of your personal information on this website. If you would like to contact the corporate offices of Federal Emergency Management Agency, please use their contact information such as their phone number, website, and address listed above to contact them. However, sometimes staff from Federal Emergency Management Agency headquarters do read the reviews on this website.